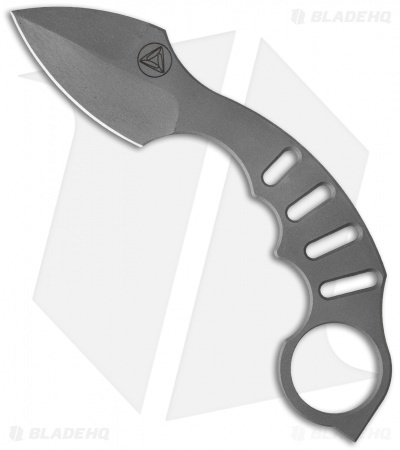 The Dragon's Tail is a high quality fixed blade neck knife from Combative Edge. It was designed in collaboration with Rob Walker and Colin Despins of Max Venom. 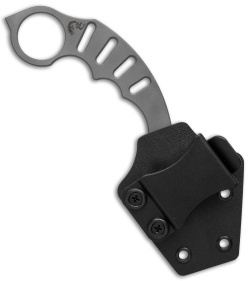 The Dragon's Tail offers the benefits of a traditional karambit knife but with a more universal blade design. It's made from durable D2 tool steel that has a matte gray finish. The blade comes in a spear point style and the handle is skeletonized with a karambit style finger hole. Includes a custom kydex sheath that can be mounted and worn in a variety of configurations. The Dragon's Tail is a versatile knife that is perfect for EDC.